One of our CSA members. Join us on April 16 as our farmer, Cheryl Rogowki, from Rogowski Farm discusses what's new on the farm. She'll discuss her farming methods, what she's already planted and how the CSA works. 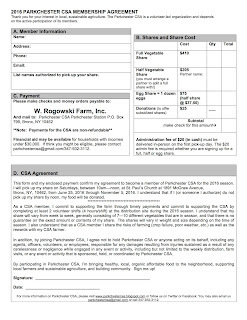 Its time to sign up for a Farm Share with Parkchester. Download and lets get going. This is an exciting opportunity to share this application with your friends and family. JUST FOOD SUMMIT MARCH 12TH, 2016! 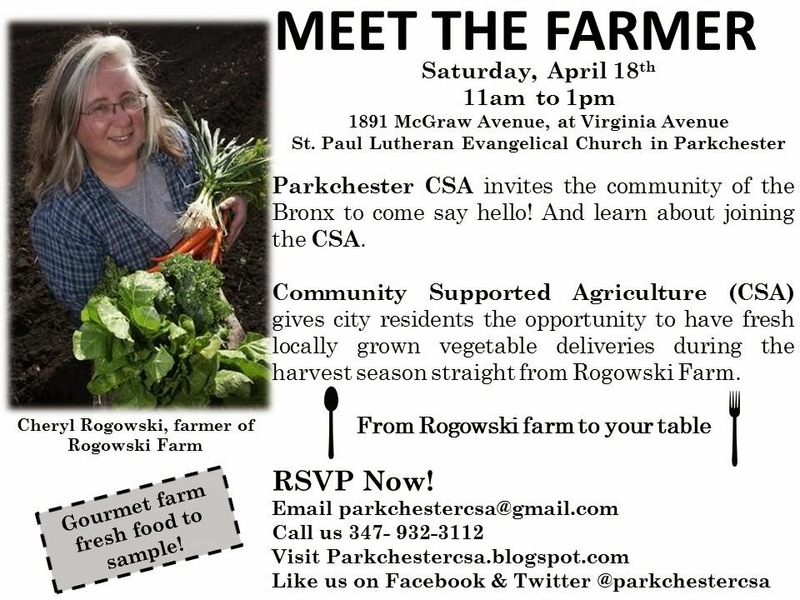 FEATURING PARKCHESTER CSA. COME TO THE SUMMIT! Anyone interested in attending the JustFood summit on march 12th at Teacher's College at Columbia University. It is from 10am-4:30pm. It will be a wonderful event. two of our CSA members will be panelists for one of the workshops. The summit is only $15. You may stay for the whole summit (10am-4:30pm) or just attend a few or one of the workshops. It is a great opportunity to learn more about the CSA, ask question, share ideas, learn on how to get more involve beyond the CSA membership (CSA core group and the overall Parkchester Community)and to know why is important for our lives. You can check out the JustFood summit website (https://csasummit.topi.com ) for more information and tickets. Invite friends or pass the information down those lines. Have a beautiful week. Its going to be warm! 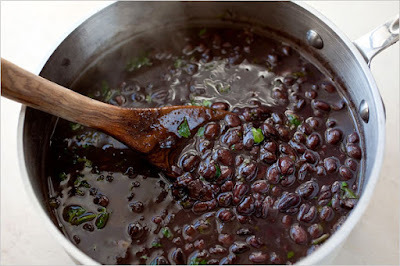 60 vegetarian Black Bean Recipes !! 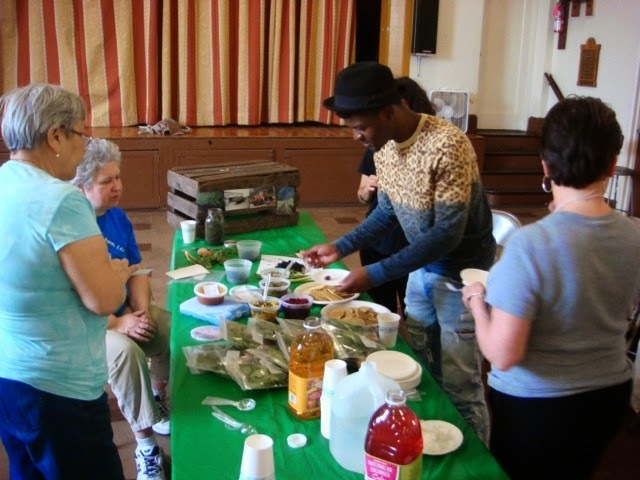 Join us for fresh, healthy veggies straight from the farm to Parkchester in 2015! Thanks to all who were able to come to our Meet the Farmer Day on April 18. It was great to see Sue Rogowski - sister of Cheryl - and hear about what is happening on the farm. It was interesting to learn how our farmer is going ‘beyond organic’ — not only is the farm pesticide-free, GMO-free and chemical-free, but the Rogowskis are not using the loopholes contained in the US Department of Agriculture regulations around ‘certified organic’. Our season begins with the first distribution day on June 27, and will go for 20 weeks. The cost of a full share of Rogowski vegetables each week is $405 ($20/week). An egg share is $72.50 for a dozen, $36.25 for a half-dozen. That’s just $3.62/dozen! 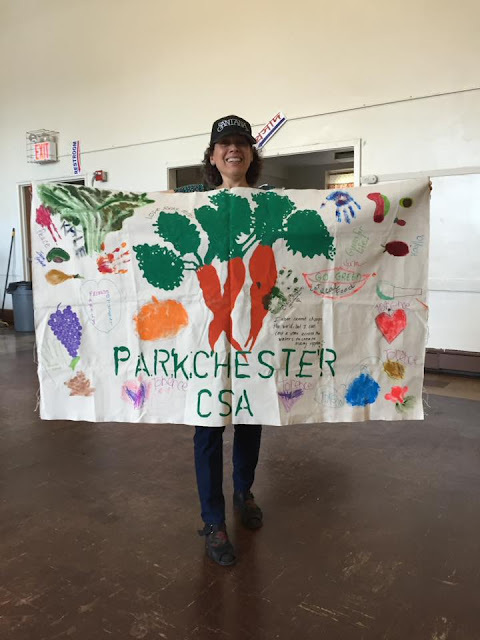 We'd love to have you join us for another wonderful season of food delivered to Parkchester fresh from the farm. Full payment is due by June 10. Our application form has all the details. Please let us know if you have any questions. Email us at parkchestercsa@gmail.com. Follow us on Facebook and Twitter. 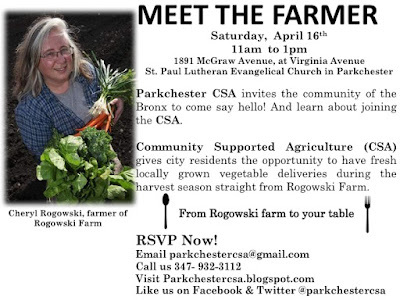 Get to know Parkchester CSA and the community that have enjoyed fresh vegetables of W. Rogowski farm since 2009. We will have a chat with Cheryl Rogowski, the farmer and we will also have an art activity where adults and kids can join in. We will be creating our own banner: you will get the chance to paint and write on the banner. It will be a fun day full of local farm foods and community engagement.